In order to meet the City of Cape Town’s estimated landfill airspace requirements, over and above what is currently available in the CoCT and regardless of the City’s proactive longer term waste reduction strategies, the establishment of a regional landfill site is urgently required. 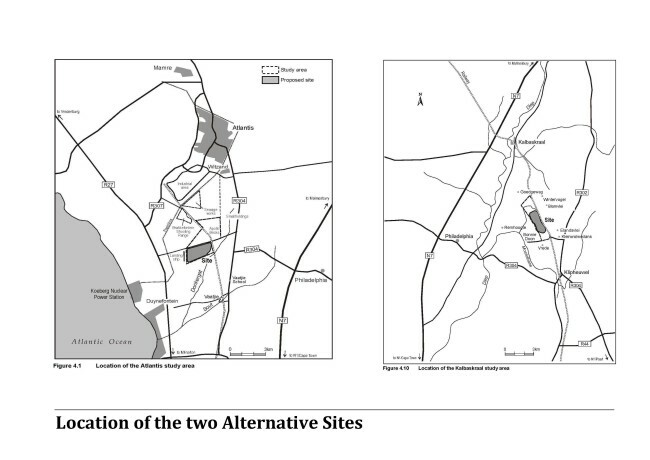 MCA Planners was appointed as the independent Town planning and Land Use Consultant to an Environmental Impact Assessment headed by CCA Environmental back in 2005 and prepared the initial Land Use and Planning Specialist study looking at the two identified alternatives sites. Since then MCA prepared a supplementary addendum (2012) to this initial study to reflect the change in forward planning and policies and to respond to planning and land use related issues raised during the appeal processes. The Supplementary Environmental Impact Report is currently being assessed by the Minister of the Department of Environmental Affairs and Development Planning.